The future of social grant payments continues to hang in the balance, with no clarity on what will happen on 1 April when 17 million social grant beneficiaries must be paid. This morning, the SA Social Security Agency (SASSA) confirmed it has withdrawn its Constitutional Court (ConCourt) application to have the invalid tender with the current distributor extended; this after it lodged the application on an urgent basis yesterday. South African social grant payments are administered and distributed by Cash Paymaster Services (CPS), a subsidiary of US-based Net1 UEPS Technologies. The ConCourt declared the CPS contract invalid in 2013, after it emerged irregular tendering processes were followed in the awarding of the tender. In a statement to ITWeb, SASSA spokesperson Kgomoco Diseko says the agency came out with six options of paying out grants after the expiry of the current CPS contract. The most viable option, according to its analysis, is that of contracting with CPS again from 1 April on a short-term basis until a new tender is advertised, he points out. "We had to withdraw our submission to the ConCourt yesterday and rework it." Diseko did not say when SASSA will re-submit its application to the highest court in the land. As the minister in charge of the Department of Social Development, Bathabile Dlamini has failed to take accountability for the potential disaster that will affect the most vulnerable South Africans, and instead continues to insist all will be well come 1 April. 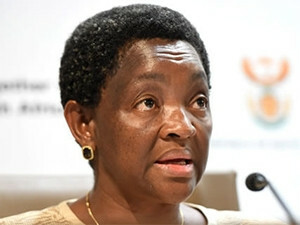 Yesterday, Dlamini was expected to appear before the Standing Committee on Public Accounts (Scopa) to clarify issues related to the CPS contract, but she was a no-show. The minister also failed to appear in front of the social development portfolio committee in Parliament on several occasions. SASSA wants the ConCourt to extend the invalid social grants payment contract. According to Scopa, appearing before the committee was imperative to respond to issues about the payments tender, as well as irregular, fruitless and wasteful expenditure. It noted it is unhappy with how SASSA has handled the social grants matter. The issue has been handled in a manner that is unfair to South Africans and the lack of accountability to Scopa is unfair to Parliament and the public, it was pointed out. Dlamini skipped the Scopa meeting to attend the social protection, community and human development cluster programme of action for the year, following the State of the Nation Address. There she briefed the media and reiterated government will continue to pay social grants to beneficiaries beyond March 2017. "It has been reported government will not be able to pay social grants after March this year. We would like to take this opportunity and reassure South Africans, in particular social grant beneficiaries, that government will through SASSA continue on its constitutional mandate to administer and pay social grants after March 2017." It has been reported that Zodwa Mvulane, project manager for an internal grant payment service at SASSA, had to field questions from Scopa because the agency's CEO Thokozani Magwaza was also not at the hearing. SASSA issued a statement yesterday indicating Magwaza was on "on sick leave" following reports he was suspended from work pending an investigation into his conduct. The agency labelled the news as "fake media reports". Despite adversities between SASSA and CPS, the agency is looking to extend its business with the grants distributor. Over the years, SASSA's relationship with the Net1 subsidiary soured as allegations of unlawful dealings and corruption persisted. 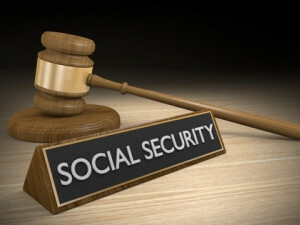 The social development department, SASSA and Net1 have been at odds, after the department decided to amend the Social Assistance Act of 2004, whereby nobody is allowed to deduct money from a social grant beneficiary's account. The department's decision to regulate the accounts of social grant recipients was not received well by financial service providers, including Net1. These issues, however, have not deterred Net1. Last month, Net1 issued a statement agreeing to a meeting with SASSA to discuss the future of social grants when the current payments contact expires on 31 March. The minister admitted last week that her department and SASSA are negotiating with the current service provider. Negotiations with CPS started today and will be about the terms and conditions of the new contract, says Diseko. Meanwhile, veteran human rights organisation The Black Sash Trust is seeking legal action against SASSA in an attempt to protect social grants. This is not the first time the human rights group has taken the legal route to ensure social grant beneficiaries are not exploited. Last year, Black Sash intervened after it received complaints from many grant beneficiaries about not receiving their social grants in full. It filed an application requesting the Pretoria High Court to protect beneficiaries against deductions made to their accounts. In a statement issued yesterday, Black Sash says through representation by the Centre for Applied Legal Studies (CALS), it has launched an application to the ConCourt. The human rights group is asking the court to compel Dlamini and SASSA to take necessary measures to ensure the social grants system and its beneficiaries are protected when the CPS contract comes to an end on 31 March. * The continued relationship with CPS is based on terms not harmful to, or exploitative of, the grant system and its beneficiaries. * The personal data of beneficiaries is owned by SASSA and such data is kept confidential and not used for marketing purposes targeting grant beneficiaries. Black Sash and CALS say they fear social grant services will be compromised due to SASSA's failure to ensure it is ready to take over payment of the grant system by 1 April, or award a lawful competitive tender timeously. "The result is that it appears SASSA has no choice but to enter into a further uncompetitive contract with CPS, which may exacerbate the longstanding concern of Black Sash that unlawful deductions are made from grants. "The emergency situation created demonstrates the minister of social development does not have adequate oversight over SASSA. Black Sash is therefore also requesting the Constitutional Court re-establish its oversight in respect of the process of social grant payments and provide milestones as well as timelines," it concludes.